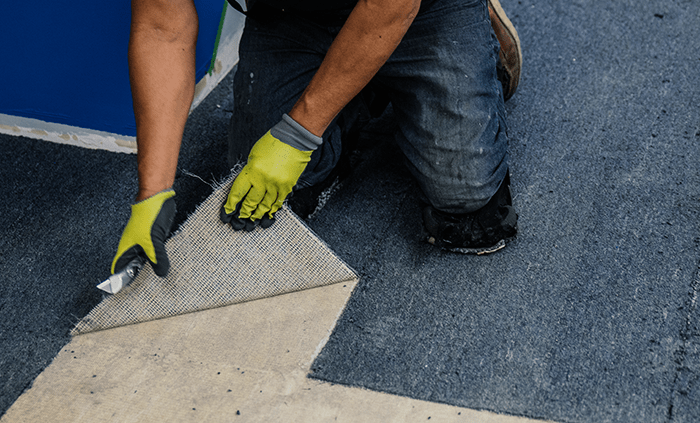 How Long Does It Take to Replace Commercial Carpet? 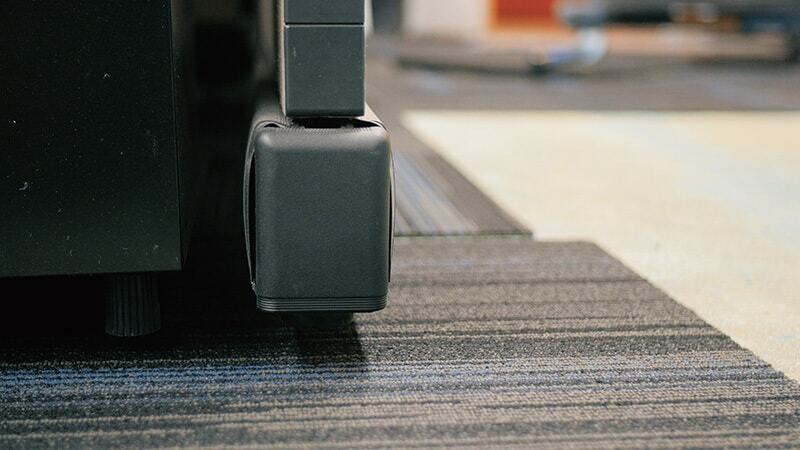 Here at JKP Flooring, we specialize in carpet installations for occupied office spaces. This means we install during off company hours, so there is no downtime, moving/packing, disconnecting, or employee disruption. A majority of other companies may require their clients to take time off during the installation time, which may take weeks, depending on the project. We know how inconvenient taking weeks off of work is and how disrupting renovations are for your employees. That’s why we developed a flooring installation process that allows our clients to keep their business running during renovations. Our installation timeline is guaranteed to be the best and most convenient for your business. The first step is to plan where we will be working on the carpet installation each night. Each color represents a different phase that we will be working on each night. Every phase planned, is started and completed on the same night. Once it’s time to start the dirty work, our team carefully cuts and removes the old flooring in the designated phase of the night. Our team then preps the area to make sure it’s ready for the new carpet. After the area is prepped, our team raises the modular furniture and installs the new office carpet. Raising the furniture, instead of moving it, allows for computers, phones, and other electronic cables to stay connected during the installation. After the carpet is installed, we clean and vacuum the area and return free-standing furniture to its original spot. 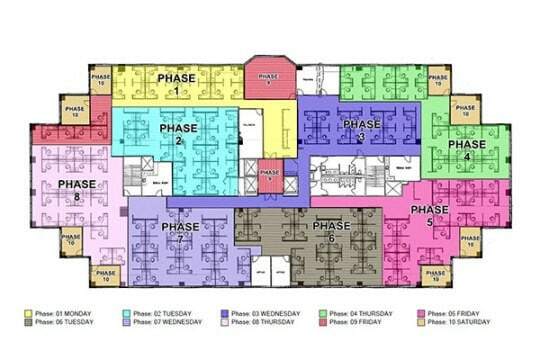 The bigger the project’s office space is, the more phases we will need. 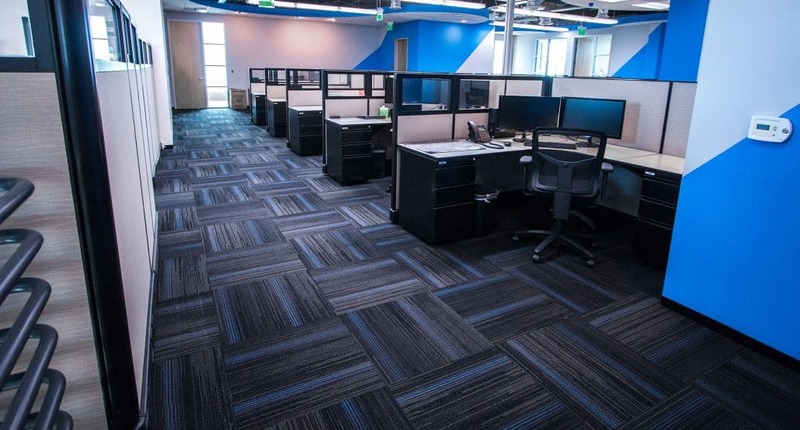 However, regardless of how many phases we may need, our goal is to always make our client’s work environment as stress-free and disruption-free as possible during the installation process. You and your employees can return to the office the next day, and the only thing that will have changed is the carpet! Not only is our commercial carpeting process stress-free, working with us is too! JKP Flooring is proud to serve businesses all across California, Arizona, and Nevada. So no matter where you are, we are your local commercial flooring specialists. Give us a call today to get started (800) 500-5739.
https://www.jkpflooring.com/wp-content/uploads/2018/03/removecarpet.png 467 700 idgadvertising https://www.jkpflooring.com/wp-content/uploads/2018/01/jkpLogo.png idgadvertising2018-11-26 09:57:122018-11-26 09:57:12How Long Does It Take to Replace Commercial Carpet? 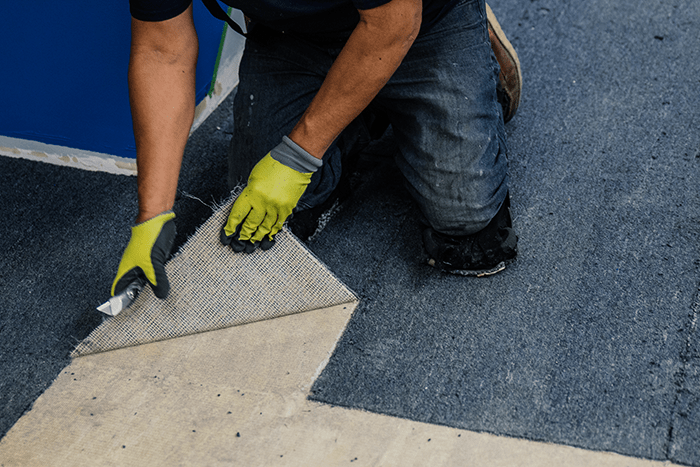 The Advantages of Carpet Tiling for Commercial Installations Why is Carpet the Best Flooring Choice for My Business?